As a child I can remember running around the old Museum of Applied Arts and Sciences in Sydney, where UTS is now located, flicking switches, seeing lights and mechanical things buzz. It was fun. I was the daughter of an engineer, and I think some of this rubbed off onto me. I always loved to tinker with things and play with technology. Over the past few years when planning the SCIL Vision Tour we have made a point of not just visiting schools, but looking at the variety of places where learning occurs. This includes museums, not the dusty-old-stuffed-animal kind, but the ones where learning comes alive. NEMO, the science centre on the harbour in Amsterdam proudly displays the sign “Forbidden not to touch”. This place provides a whole body and mind experience of science. Where else can you actually stand inside your own giant bubble? 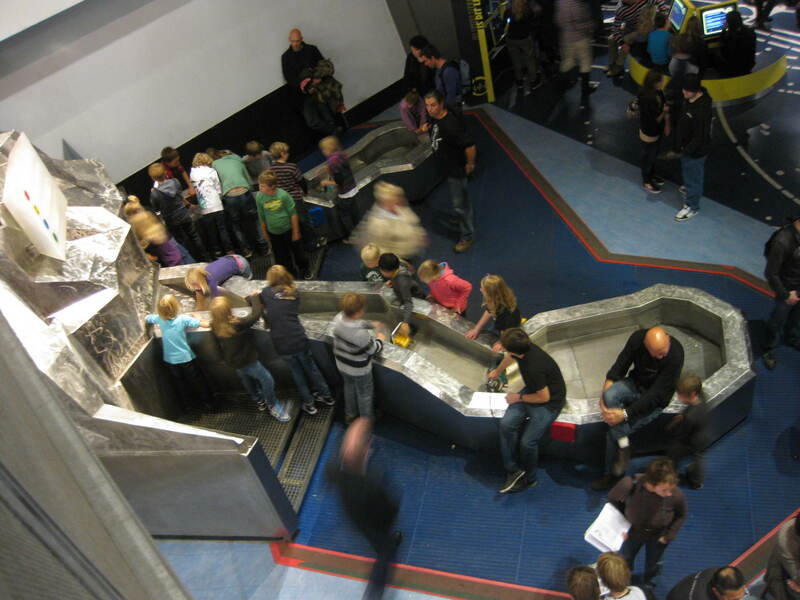 Universe, the science theme park in Sonderborg, Denmark, goes beyond hands-on, they aim for “body on” learning. The Jorvik Viking Centre in York immerses the visitors in the viking experience and an archeological dig. It captures all the senses, there is even the smell of the era. #14 MULTIPLY INTELLIGENCES: Allow students time and space to choose what they want to do – their choices will illuminate their original strengths. #16 EMULATE MUSEUMS: An environment rich in evocative objects – whether it’s a classroom or museum – trigger active learning by letting students pick what to engage with. What if schools were like the museums where there is ‘push and pull’ learning as needed? Great museums ‘push’ information in innovative, engaging and creative ways, but also provide opportunities for learners to ‘pull’ in what they need. This is truly personalised learning. 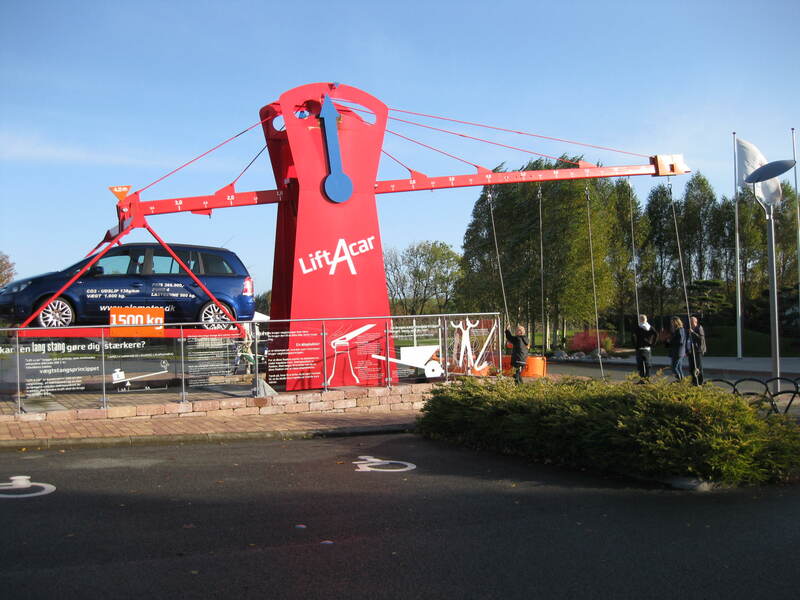 Yes, we could lift a car! Great museums captivate the imagination and provide a place where passion for learning can be unleashed. They are visually stimulating and the best indicator is that we don’t want to leave. Could schools be like that? As educators and school designers we need to take the opportunities to see the best and most creative learning environments in the world. Not only for our own ‘body on’ experience, but to observe how young people can be interested and curious, independent of the teacher. Given the right environment and left to their own devices they will learn and explore, discover and create, and hypothesise and synthesise. Schools have much to learn from great museums. This October, the SCIL Vision Tour will again have a focus on museums as part of the tour. 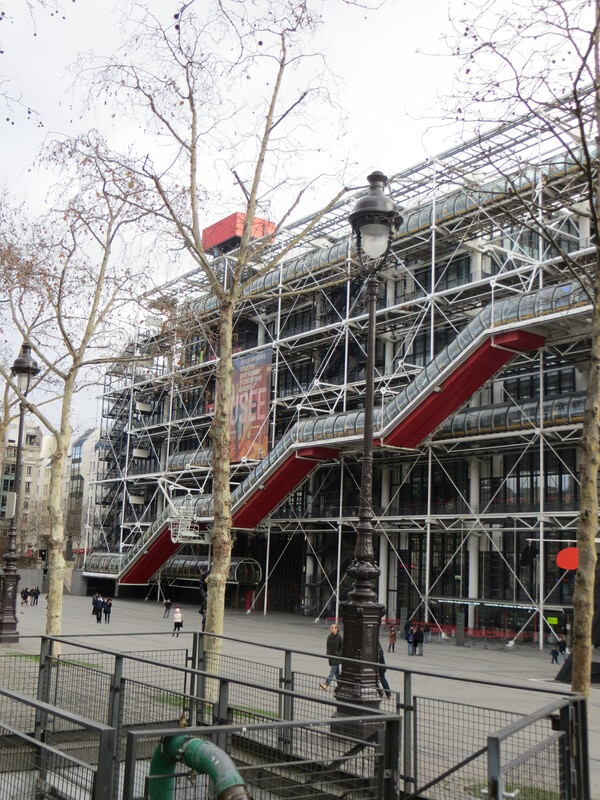 Some museums visits are planned as part of the tour, including Cite des Sciences in Paris, In Flanders Field in Ypres/leper and possibly (if itinerary allows) forbidden-not-touch at NEMO in Amsterdam. In addition there may be time for the participants to choose to visit some of the world’s most famous ones, Louvre, Musee d’Orsay, Centre Pompidou, Rijksmuseum, British Museum, British Natural History Museum.